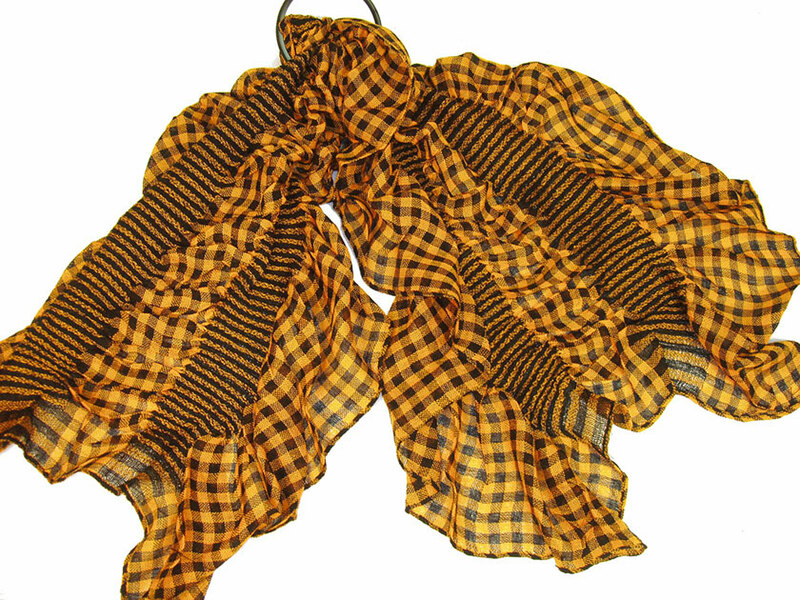 This checkered print mustard & black 100% polyester scarf can be a perfect accessory all year round. The scarf is stretched in the middle with a striped pattern & gives a ruffled look. Imported.